Paytm, which is India’s leading digital wallet company, will be the next to join Airtel. The company on Wednesday announced that it will launch its payments bank on January 15. Government-run courier service India Post will reportedly open its first payment bank (India Post Payments Bank) in Jharkhand this month. Last year, prime minister Narendra Modi had announced that all India Post offices should be converted into payments bank by January 2017. Payments banks are a new banking model. Unlike other commercial banks, payment banks are not allowed to give credit or loans. These banks are, however, allowed to make arrangements with commercial and small finance banks for offering loan to their customers, with prior permission from Reserve Bank of India (RBI). Those having a bank account in a payment bank can keep deposits up to Rs 1 lakh. Account holders in these banks get cheque books, debit card and interest on their deposits. These banks are part of the digital banking ecosystem. In August 2015, RBI granted in-principle licence to 11 entities, which included department of posts, Paytm, Airtel and Reliance Industries. Out of 11, three surrendered their licences. Mittal added that Airtel is expecting to open more than 1 lakh accounts every day. “Our target is to convert 100 million of our nearly 2.60 million customers into Airtel Payments Bank account holders,” he said. There are 233 million unbanked Indians at present and 625 million under-banked, said Shahi Arora, MD and CEO, Airtel payment bank. “Despite having 100 plus commercial banks one would think why then so many people are unbanked. This widens the scope of payments bank in financial inclusion,” Arora added. Kotak Mahindra Bank has partnered with Airtel Payments Bank as 20 percent of shareholder. “Cost of opening a bank account and cost of serving customers is extremely high for traditional banks. Our partnership with Airtel Payments Bank will allow us to serve customers who are at the bottom of pyramid at relatively low price to which traditional banks just cannot compete,” said Uday Kotak, executive vice chairman and MD, Kotak Mahindra Bank. Kotak also said that there is a need to develop a “sustainable business model” for payments bank, which is part of challenges that we will all face together. 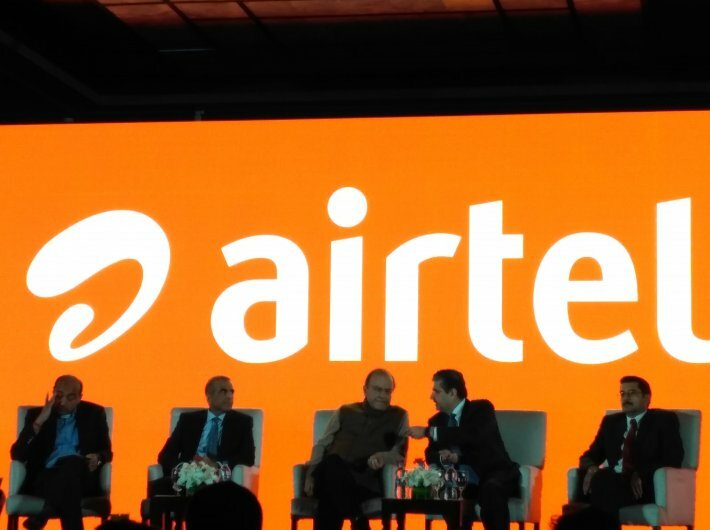 Airtel Payments Bank can be accessed via three channels - mobile application, USSD (an SMS based mobile banking) and Interactive Voice Response (IVR) (phone call-based banking channel). Airtel Money app customers will find another section of payments bank on their application. Airtel has integrated its payments bank with its existing application, which has over 20 million customers, according to the company’s data. For non-smartphone users, Airtel has enabled 444 as a code for banking. Feature phone users can either dial the code from their mobile or type *444# to avail banking services. IVR and USSD services are available in 12 Indian languages. To get an account with Airtel Payments Bank, one can visit nearby Airtel retail stores, which will also be Airtel’s banking points. A person should carry Aadhaar number and PAN number to get a bank account with APP. No other paper or document will be required, and opening a bank account will be paperless. Mittal said that a person can open a bank account with APP in just three minutes. Customer’s mobile number will be their account number. At present, one million merchants are onboard, who are accepting cashless payments through Airtel’s payment banks. The company is targeting to expand the number to five million. Account holders will get annual interest of 7.25 percent on their deposits. The interest rate is a welcome offer to bring maximum number of citizens onboard. It will change in future. Account holders will get personal accidental insurance of Rs 1 lakh. Airtel customers will get one minute talk time on every 1 rupee deposited in their savings account.